I’m suprised how cold it looks. That’s what I call a fun run ( in my case it would be a slow walk). 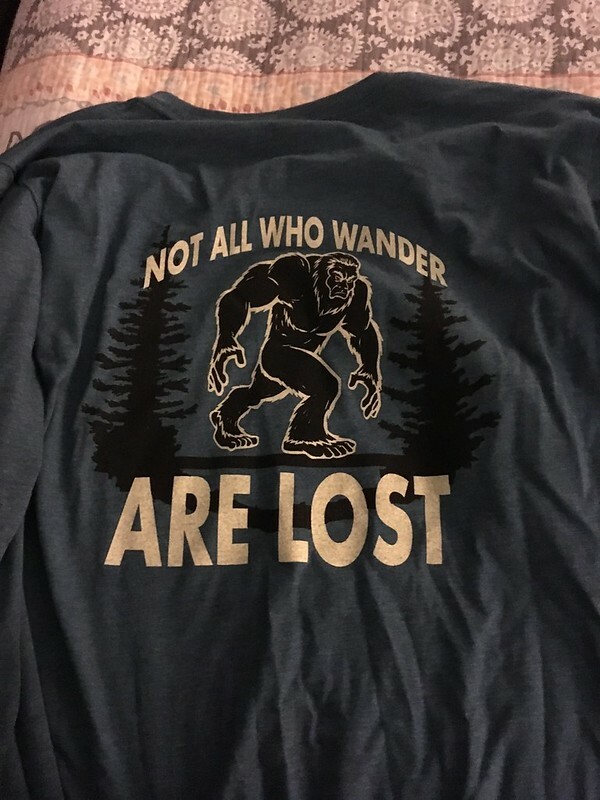 Nice trail along the river, friendly people, unique shirt, and Sasquatch. What more could anyone ask for? I’m having trouble leaving a comment today. 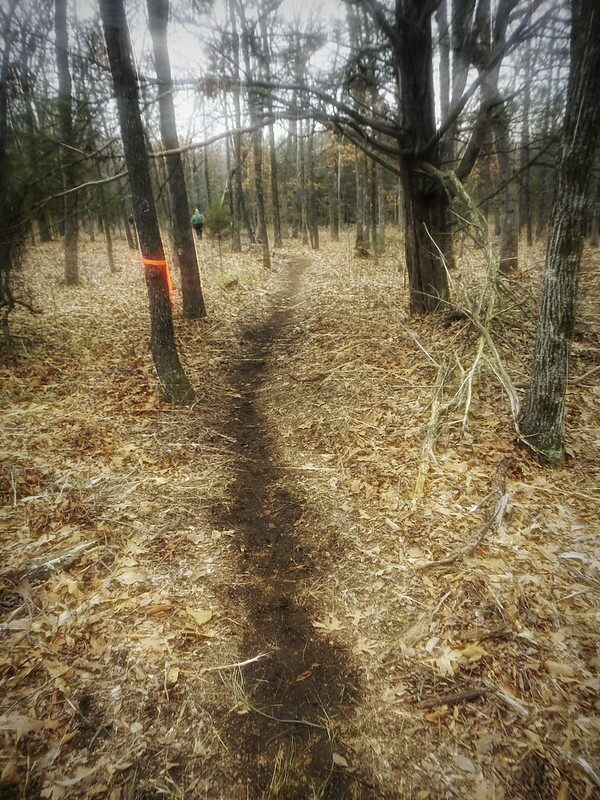 This run does look like fun….. nice people, well maintained trails, a river to look at , good looking Tshirt, and Sasquatch…what more could one ask? Nothing wrong with a good saunter behind the crowd, but not in new boots. 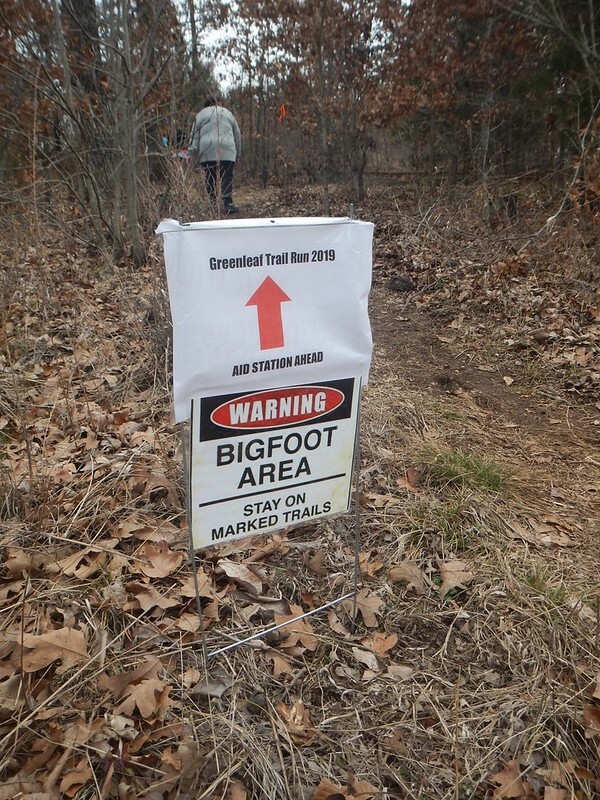 I didn’t know you lived in Bigfoot country. In Skamania County WA Bigfoot is legally protected. I LOVE that coffee cup. Do you collect coffee cups, along with T-shirts? Sorry you lost your medal. 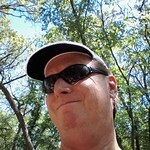 Nice to have a sighting of bigfoot as the payoff! Lovely area for a run! Looks like a great time. I love my Hokas, they’re my favorite walking/running shoe. 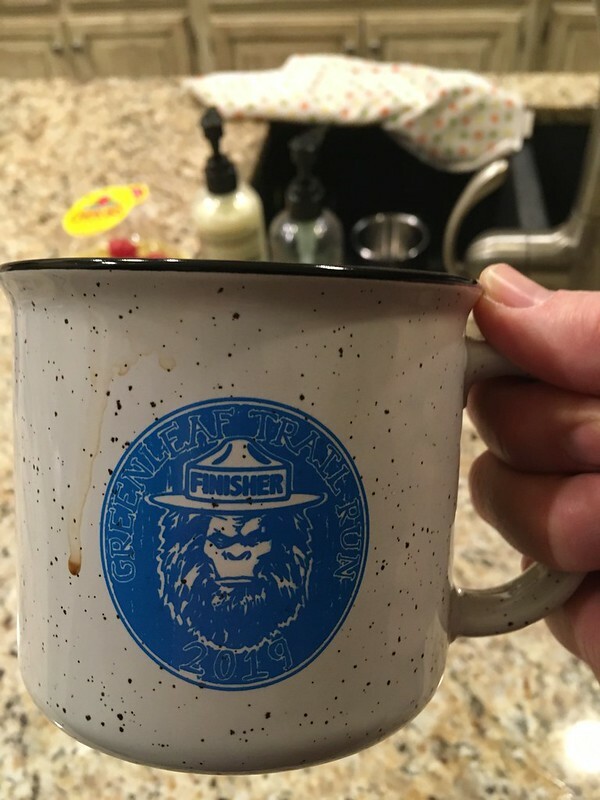 Is the Sasquatch wearing a ranger hat on that mug? Very cool. 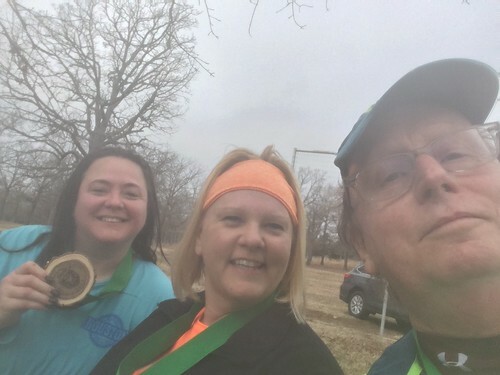 Congrats on getting out there for the run. Looks like it was well attended, which makes me happy. 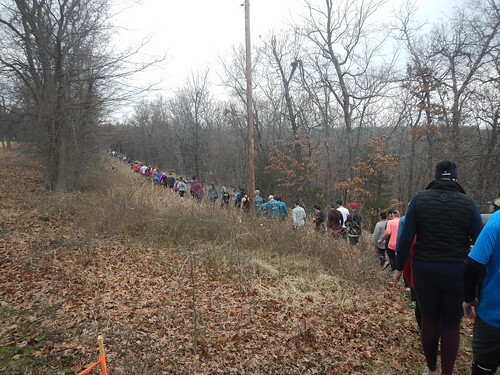 Fitness and just getting outdoors is so critical. 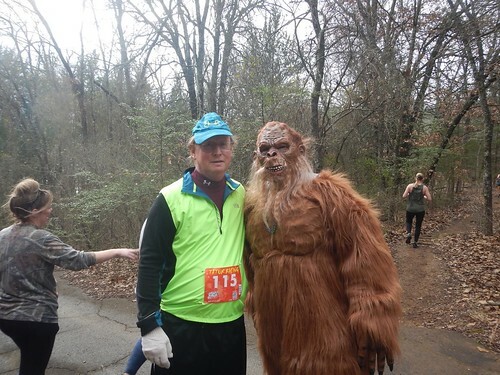 Love that Saquatch and the t-shirt. 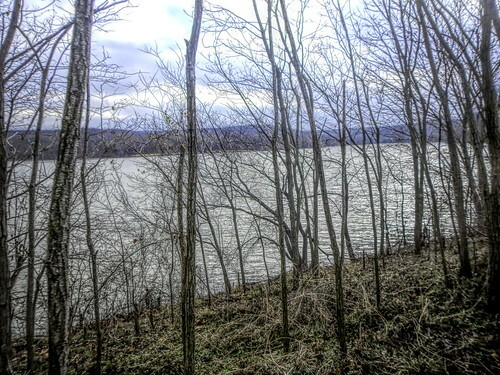 We have one around here with a picture of a Sasquatch and it reads “Undefeated Hide and Seek World Champion”! 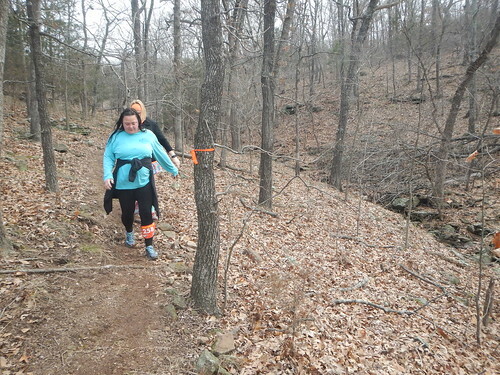 Glad to see you have found a way to enjoy the great outdoors in spite of running limitations. Man, you got some great swag (as they say). That t-shirt and coffee mug are awesome. Have a blessed week.